It works out well that "Favorite Things" is the theme for today's guest, Sonja Yoerg, as she financed her college education by waitressing at the Trapp Family Lodge in Stowe, Vermont, where she grew up. Maria herself even gave Sonja a cuckoo clock for her 16th birthday! Since then, she earned her Ph.D. in Biological Psychology from the University of California at Berkeley and published a nonfiction book about animal intelligence, Clever as a Fox (Bloomsbury USA, 2001). 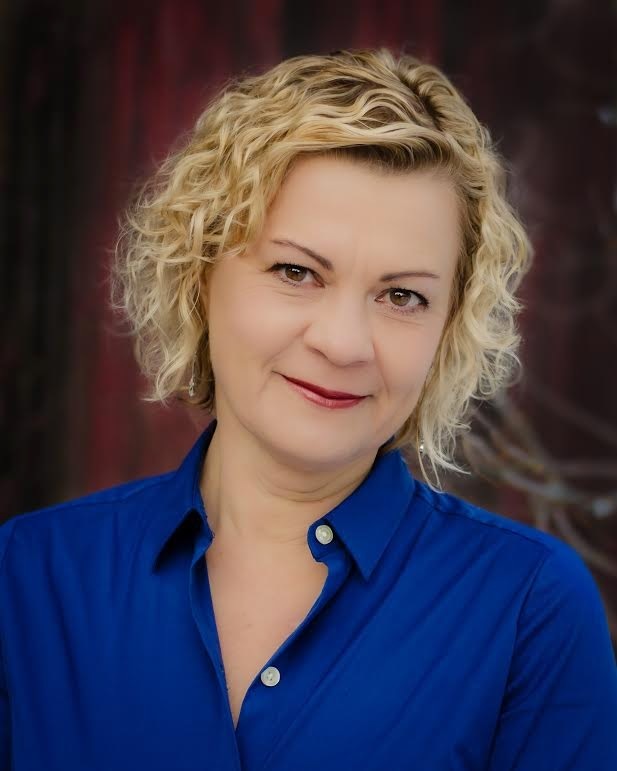 She lives in the Shenandoah Valley of Virginia with her husband and has published her debut fiction novel, House Broken. You can find Sonja at her website, Facebook, and Twitter. 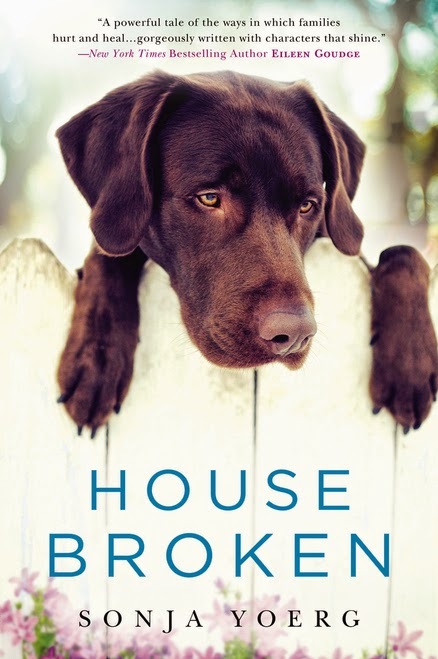 Thanks to Penguin Random House, we have a copy of House Broken for a lucky US reader! Oprah hid her gifts under the seats of her audience. My first favorite thing, which holds all the others, fits under a seat, too, but the one in front of you—on an airplane. What I’d really like to share is my favorite activity, travelling, but we’ll have to settle for the goods that make travel better. The perfect travel bag. I’ve used a Sherpani Priya laptop tote for a couple years now. It holds everything I need and does it without looking like an overloaded diaper bag. It has enough pockets but not so many I risk forgetting where I stashed things, and it zips closed so I can lay it on its side and prop my feet on it. A ticket, of course! My husband and I are adventurous, and have a long list of far-flung places we’re eager to visit. We don’t favor resorts or tours, preferring instead to muddle through a new country on our own, meeting locals and learning about the place firsthand. In the last few years we’ve been to Morocco, Chile and Venezuela, where we backpacked in the Andes. On Molokai, we rented a tiny house on the beach, ate mostly baked potatoes and pineapple, and rode bikes into the mountains. Yeah, we can’t even go to Hawaii the way normal people do. I know not everyone is so adventurous, but I’d encourage the recipient to choose a destination a little out of their comfort zone. Something new that might challenge their expectations. One of my favorite things about traveling is seeing how similar people are, fundamentally, the world over. I find it reassuring and hopeful. In case you’re wondering, the ticket would be first-class, because I’m channeling Oprah, right? The adventure starts after the plane lands. Until then, pass the champagne. An e-reader. I love the feel of a real book in my hands as much as the next person, but thank goodness we don’t have to lug a dozen books when we travel. More room for shoes! I’d load up the reader with a variety of books, including ones set in the destination, plus a travel guide and phrase book. Noise-cancelling headphones. A travel essential right up there with black leggings. Not only does the in-flight movie sound better, but you can block out your fellow travelers and concentrate on your book, or your music. And not just on the plane, but any time you’d like a little peace and quiet. A Pashmina shawl. Planes are always too hot, except when they’re too cold. I’d constantly take my sweater off, only to pull it on again, trying not to bash my neighbor on the head or appear to be engaging in seated yoga. Now I pack a large Pashmina shawl. So much cozier than a sweater and packs smaller, too. In a pinch it can double as a beach cover-up. The best use of the wrap, however, is when you wake in a place you’ve never been. You get out of bed, wrap the shawl around you, and go to the window. A beach, a mountain, a cathedral tower, a field of lavender. A child retrieving a ball from a cobblestone street. It could be anything. A new day. A new place. And, always, at the end, the promise of home. Thanks to Sonja for sharing her favorite travel items with us and Penguin Random House for sharing her book with our readers! US only. Giveaway ends January 13th at midnight EST. I haven't traveled in so long, it's hard to really remember what I used to take. I believe I used to take magazines because I never could read books very well around other people. I no longer travel due to health issues and I've never been on a plane (claustrophobia) but I always carried some sort of mindless electronic game so that I would have something to distract me if someone else was driving. I would have to have my iPad when I travel. That's hard, because it is books for sure. Probably a camera, so I can take pictures to have memories of wherever I'm going. I've found that earplugs are really useful! My husband and a shawl or blanket. I take my netbook or laptop (now that I have that) and a pair of ear plugs. My favorite thing to travel with besides books is my laptop computer. Thanks for having the giveaway. I love to travel with a friend! I recently traveled by airplane (after not flying for over 13 years). My friend is the savviest traveler ever! Whether I be traveling by plane, train or car, I always always take snacks and trashy magazines. It's always been a tradition with my mom and older sister. Once you're done reading, you can throw them away! It's fun buying National Enquirer. Music is a must too because I can't stand absolute silence! My pillow makes the hotel feel like home. I love to travel with my wife! My iphone since it has music and I can look up anything I need to know. I love travel with my ipad and my own pillow. It's not necessarily a favorite thing to travel with but a necessity--snacks.